The rider involved in the incident during Sunday’s Superbike race, Davey Lambert, has passed away. Lambert, 48, from Gateshead in Tyne and Wear , crashed at Greeba Castle on the third lap of Sunday’s opening Superbike TT. He was treated at the scene before being taken by airmed to Nobles Hospital. He was subsequently transferred to for further treatment in Liverpool where he unfortunately succumbed to his injuries last night. 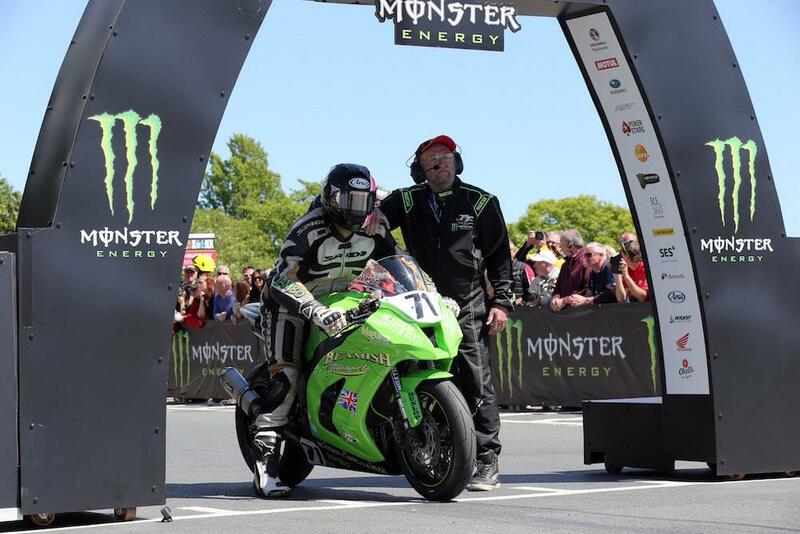 Lambert, known by his friends and family as ‘Lambo’ made his mountain course debut at the Manx Grand Prix in 2014, where he finished fourth in the Newcomers A race and 24th in the Junior Manx Grand Prix. He returned the following year to finish 9th and 110th in the Junior and Senior races respectively and was 8th in the 2016 Senior Manx Grand Prix. Confirming the news, Lambert’s family said: “With a heavy heart it saddens us to have to break the news that Davey lost his fight at 19:50 this evening surrounded by his family and close friends. He went out of this world in exactly the way he would have wanted doing what he loved. “He was a big man with an even bigger heart who will be sorely missed by so many. As a family we would like to thank everyone for their kind words and support. All at MCN would like to join the wider racing community in extending our deepest condolences to Lambert’s family and friends at this time. Rest in peace.